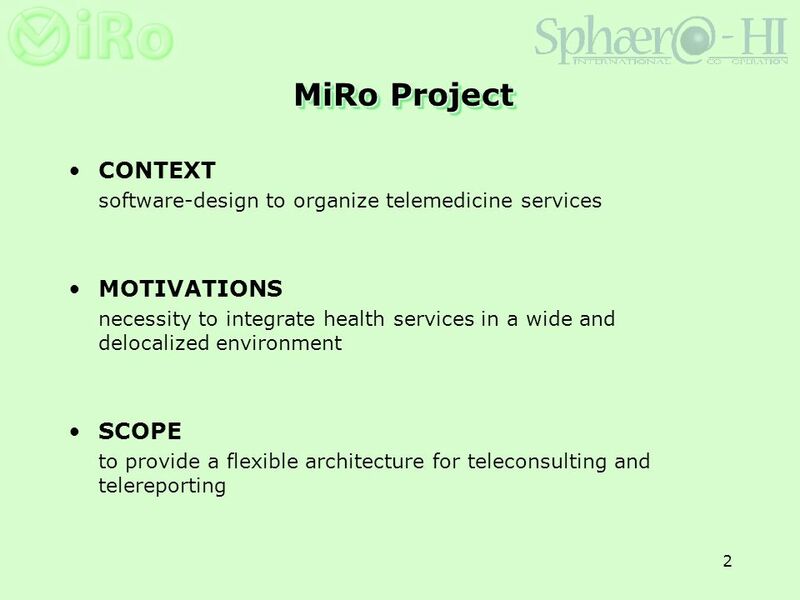 1 MiRo: A Virtual Private Network For Telehealth Services ROBERTO DI ROSA, MIRCO STURARI, ALDO FRANCO DRAGONI*, GIUSEPPE GIAMPIERI** *DEIT, Dipartimento. 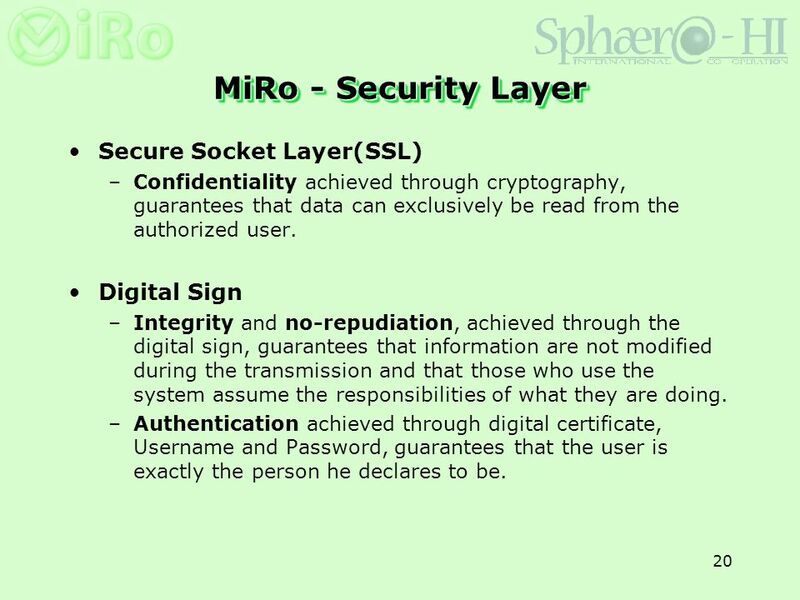 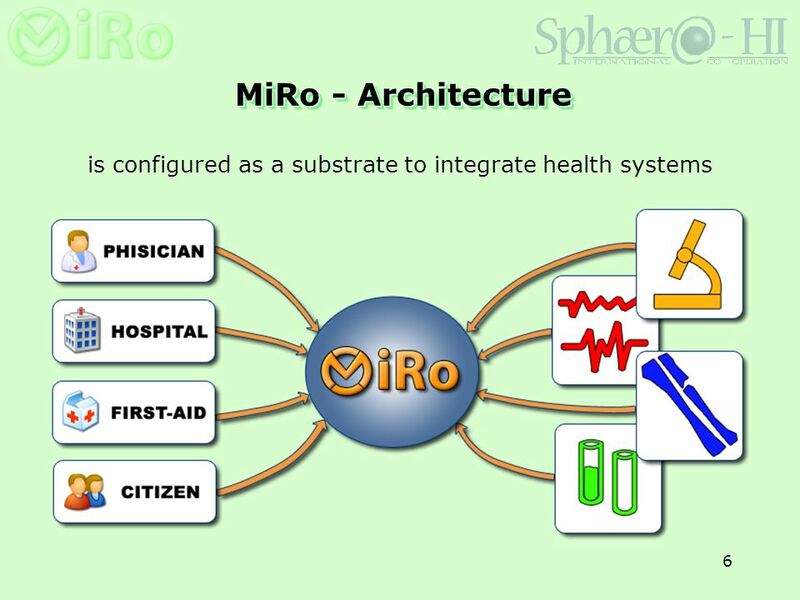 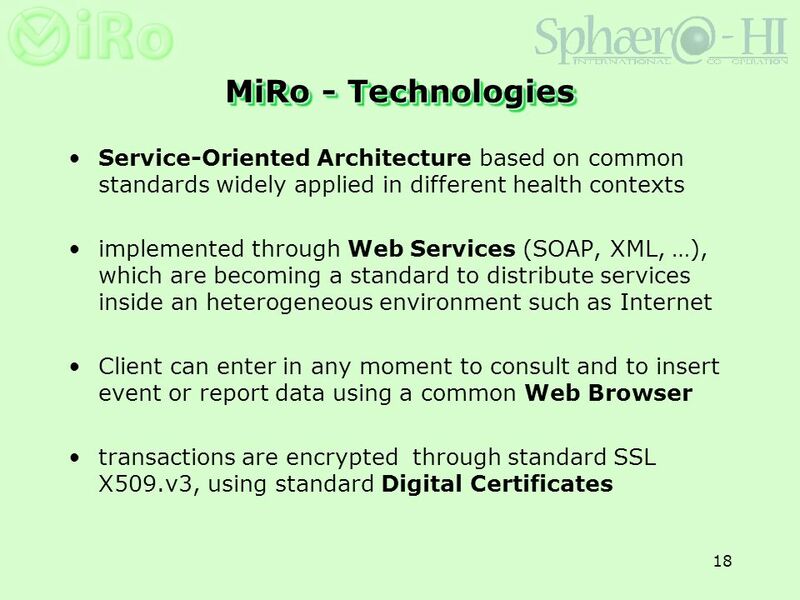 20 20 MiRo - Security Layer Secure Socket Layer(SSL) –Confidentiality achieved through cryptography, guarantees that data can exclusively be read from the authorized user. 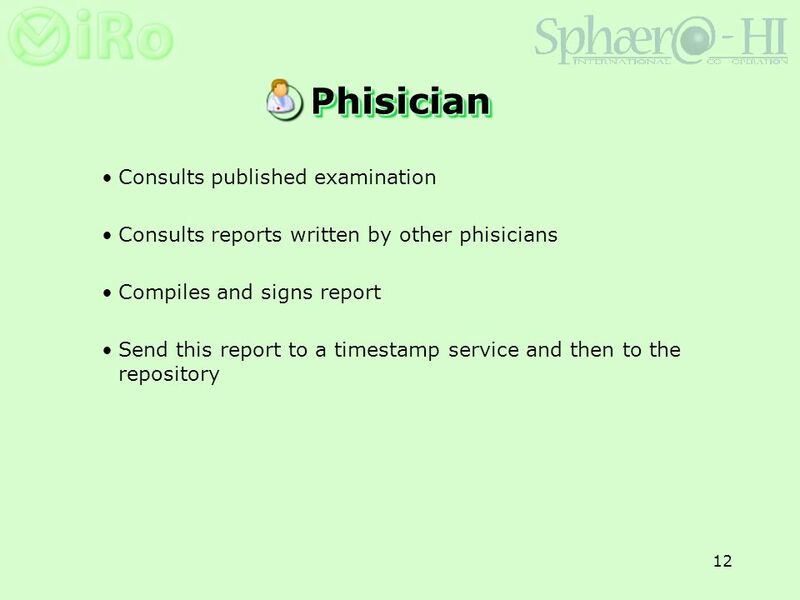 Digital Sign –Integrity and no-repudiation, achieved through the digital sign, guarantees that information are not modified during the transmission and that those who use the system assume the responsibilities of what they are doing. 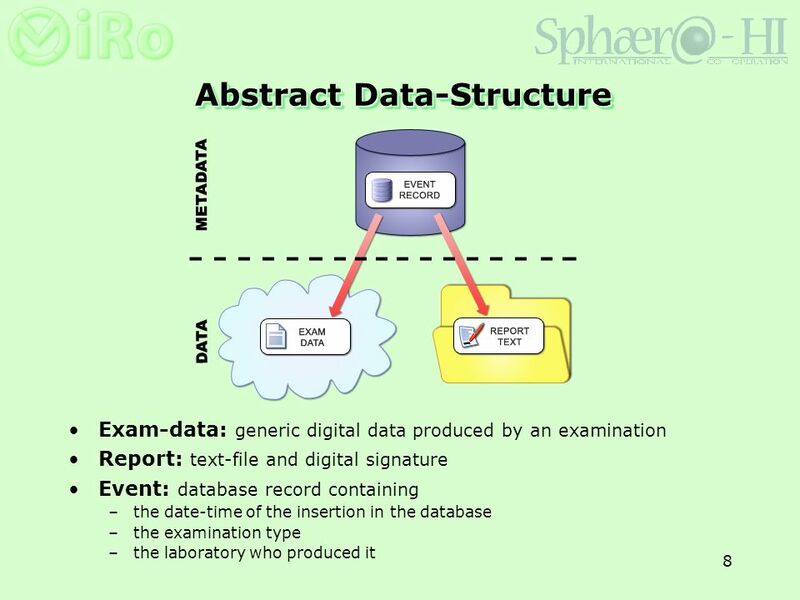 –Authentication achieved through digital certificate, Username and Password, guarantees that the user is exactly the person he declares to be. 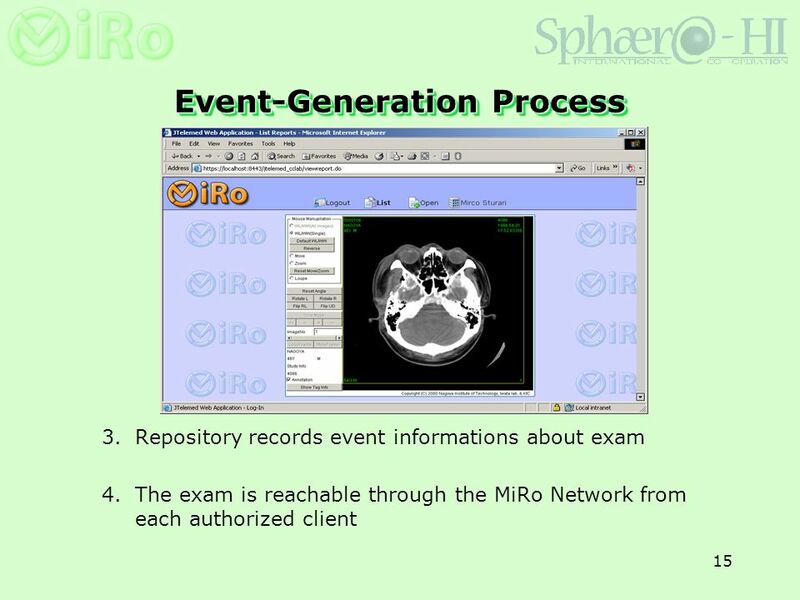 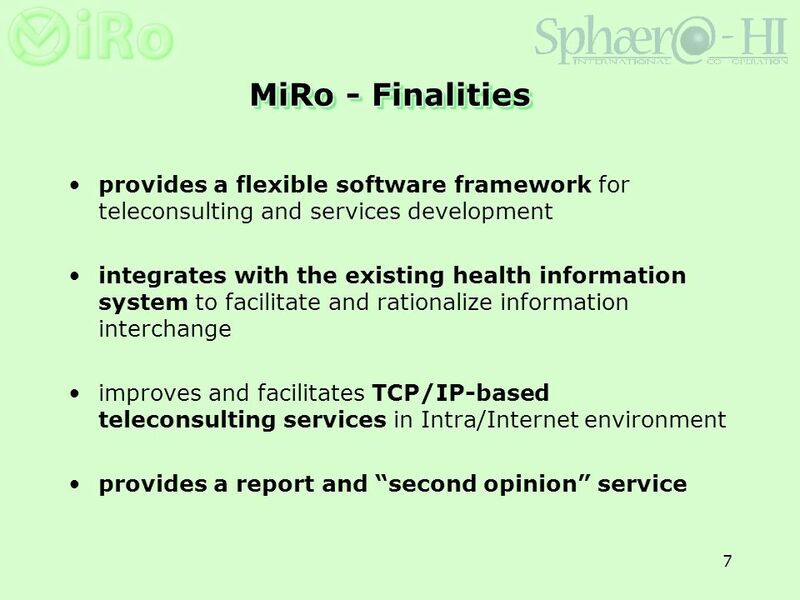 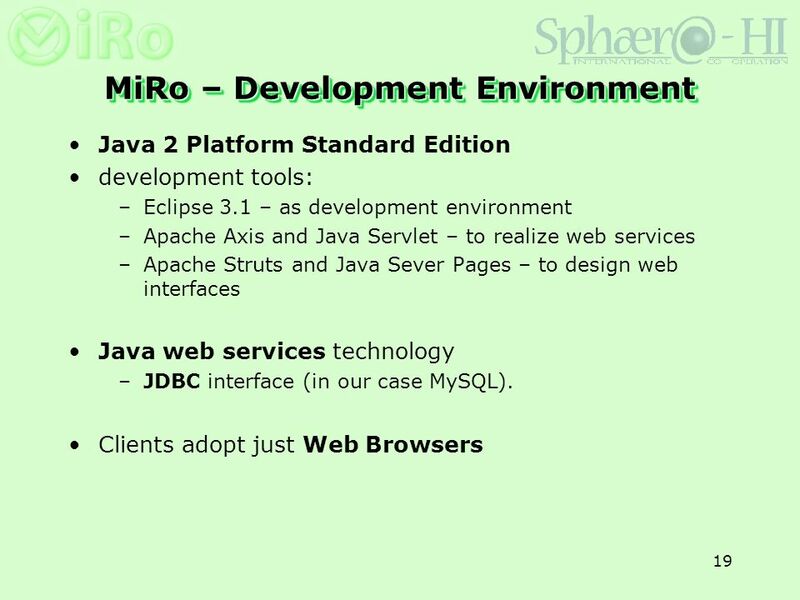 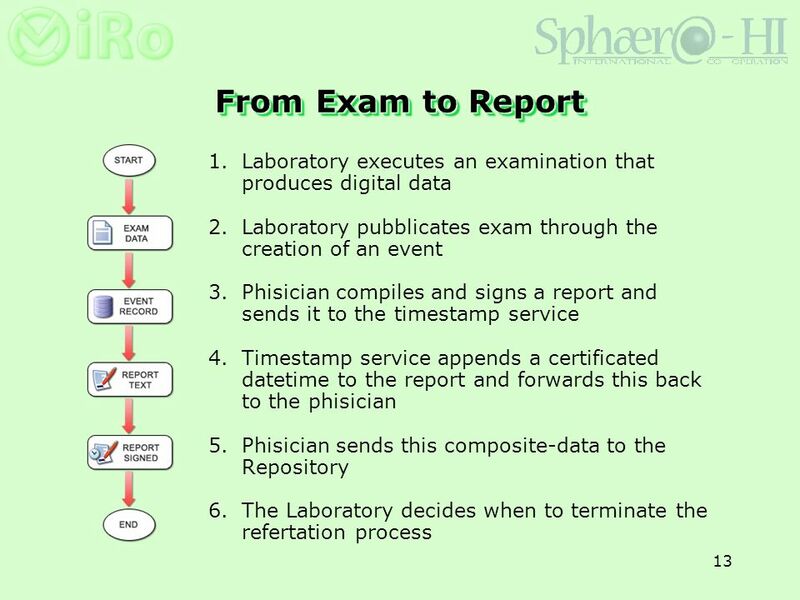 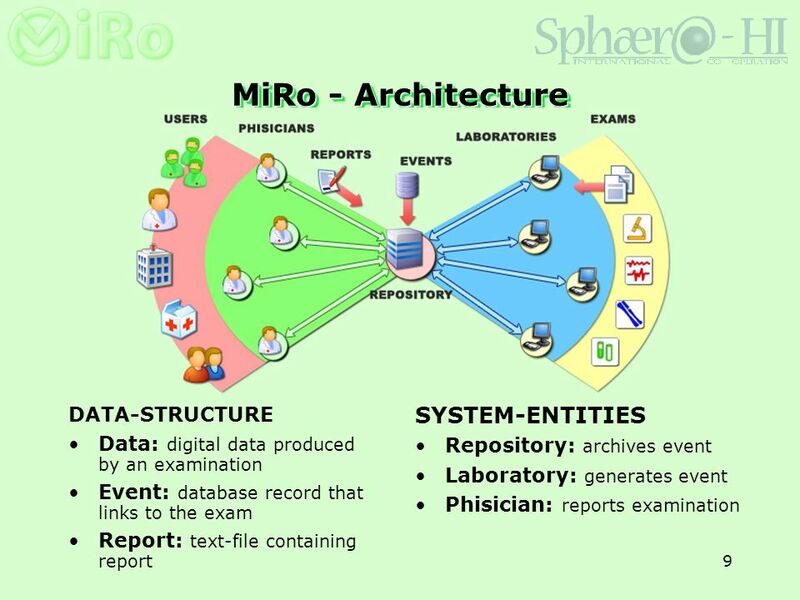 21 21 Conclusions and future works MiRo is a software architecture for TCP/IP-based telereporting activities and second opinion services thanks to its flexibility, can be exploited in many different operational realities and is able to incorporate different Intra/Internet-based services. 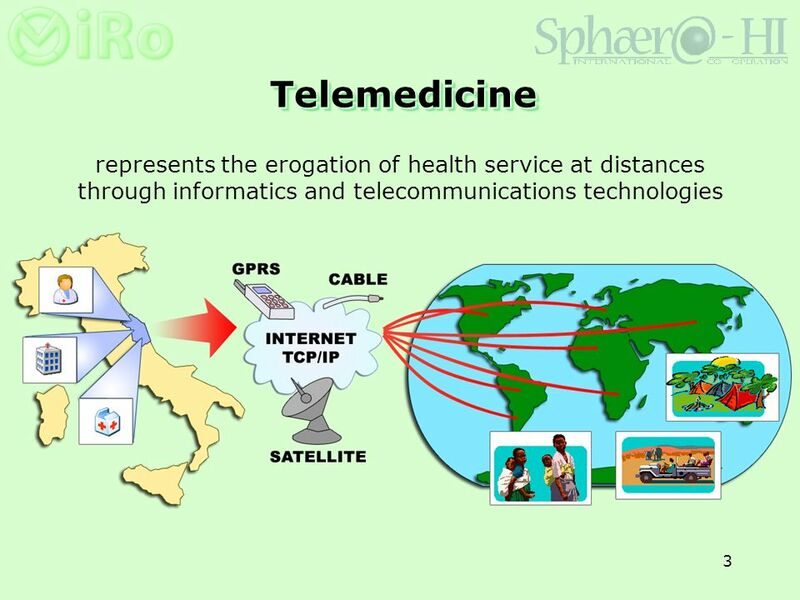 In future perspective, we foresee the possibility to implement and to provide new services and to reach citizens. 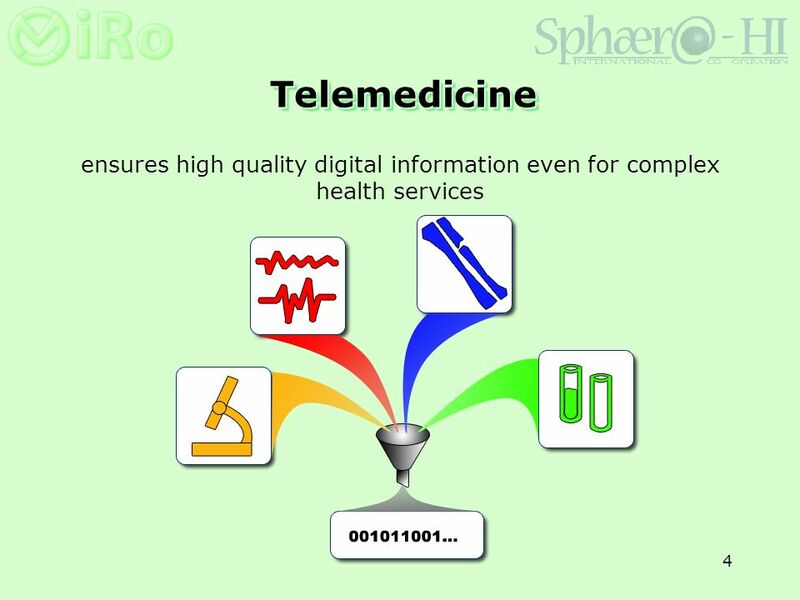 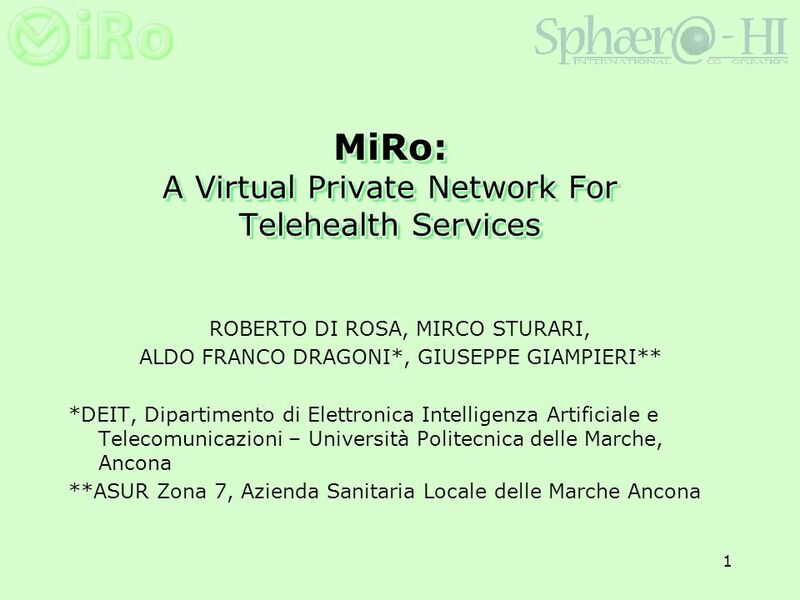 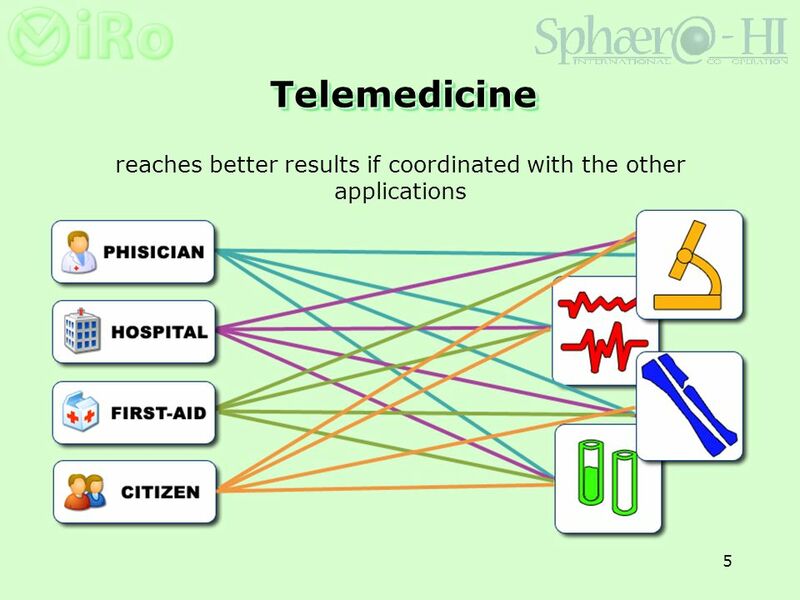 Download ppt "1 MiRo: A Virtual Private Network For Telehealth Services ROBERTO DI ROSA, MIRCO STURARI, ALDO FRANCO DRAGONI*, GIUSEPPE GIAMPIERI** *DEIT, Dipartimento." 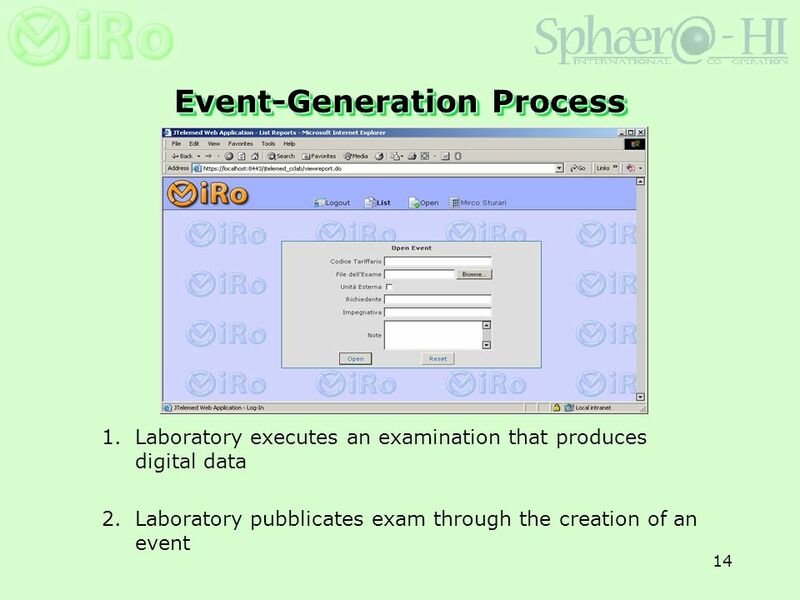 Gail-Joon Ahn and Ravi Sandhu George Mason University Myong Kang and Joon Park Naval Research Laboratory Injecting RBAC to Secure a Web-based Workflow. 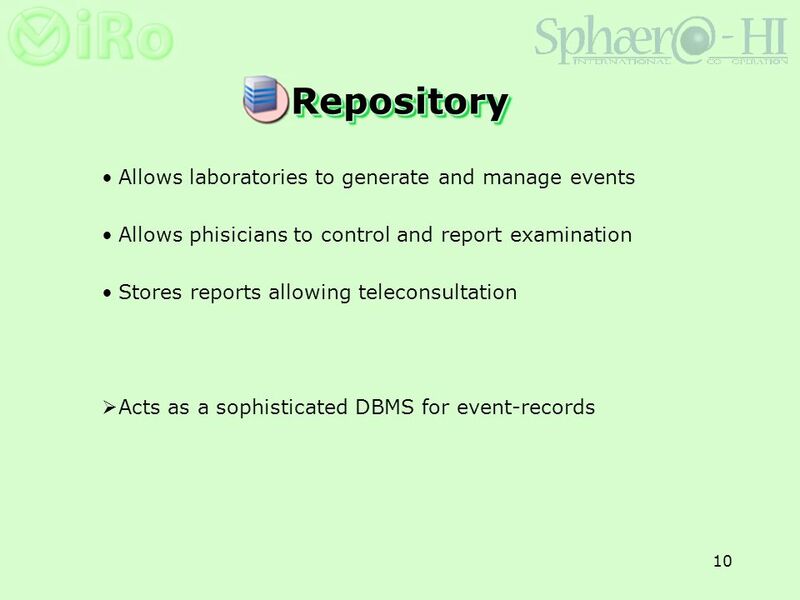 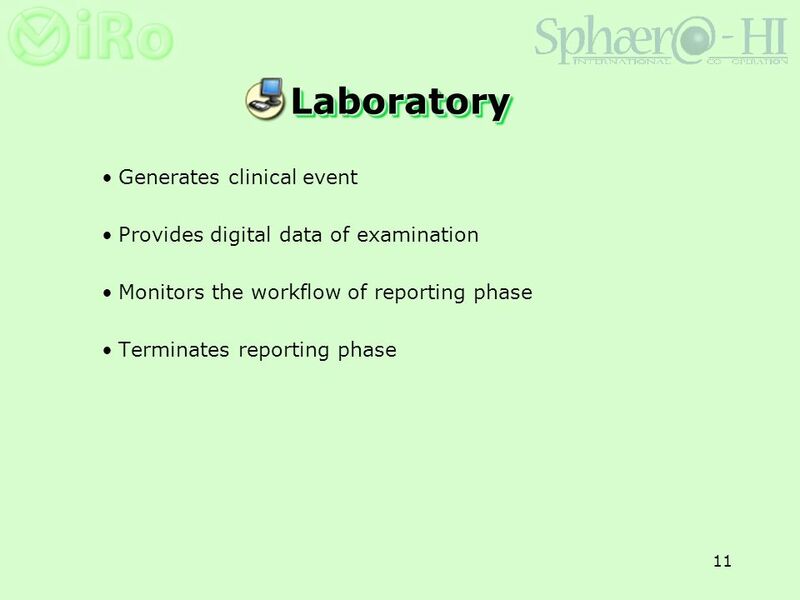 Implementation of a Validated Statistical Computing Environment Presented by Jeff Schumack, Associate Director – Drug Development Information September.